The details concerning Apollinaire Hottekiet (Born 3 January 1874, dec. Hénin-Liétard, 11-12-1951) are fully given in Jean-Robert Hottekiet’s research on the Hottekiet-Hubert families and need not be repeated. However, mention must be made of the fact that Apollinaire Hottekiet and Henri Dupuche (grandfather) both came from the same village, Bruyelle, near Tournai, Belgium, and in fact sat at the same desk at school and were related by marriage to Madeleine of Armentières, the cousin of both Maman and Papa. This was to be the means by which they came to know each other and eventually to be married. Apollinaire began work as a monumental mason for Delille & Co. on 8 August 1895. He had a first daughter, Eugénie Félicie (born 1900) by a first marriage to Félicie Lemire. No details were given about this first marriage. Marie Reine George, (born 23 July 1868, dec. Hénin-Liétard, 25 April, 1969, at 3.30 am) came from Arnèke near Cassel in French Flanders, one of many children. The name Marie Reine means ‘Mary, Queen’, equivalent to the title Christ Roi, ‘Christ the King’. Her family was by no means wealthy; her childhood house had an earthen floor. She grew up speaking Flemish but in her old age had forgotten it and could only speak French to her sisters. Several of her brothers were killed in the First World War. It is not clear why Marie Reine came to Hénin. She worked in a shoe store opposite the Parish church of St Martin and met Apollinaire while crossing the square in front of the church. They were duly married and Maman was her first child. Reine Augustine Hottekiet was born on 01-01-07 at 6 am, the second daughter of Apollinaire Hottekiet. Maman was named after her mother, Marie Reine, and after her father’s mother, Augustine Despierre. René Hottekiet was her second child whose details are amply given in Jean-Robert’s research. However, here are some details. René was very involved in scouting and kept up his connections with scouts and scout chaplains well into old age. He did his military service in Syria and stayed with the Jesuits at their college at Homs (or Aleppo?) and retained a fond memory of this time. On his return to Hénin he worked in the office of one the mines – the region constitutes one of the major colliery regions of France. He was a prisoner of war in 1940 and found that he had special powers of healing, for he had noticed that a piece of salami that he had kept in his pocket – it was a luxury in prison – did not go bad even after two weeks. He left his work at the mines and began his long career in alternative medicine, working as a guérisseur – a healer. He would diagnose people by noticing the movements of a ball held by a chain in the left hand while pointing at the trouble spot with the other. He would lay his hands on them or advise them to see a doctor or have an operation. This work led to a long involvement in alternative forms of medicine of which he was a prominent figure in France. With the coming of war in 1914, Apollinaire fled to Paris where he had relations in the suburb of Neuilly, lest he be taken prisoner. The rest of the family stayed in Hénin, which was only a few kilometres from the front, on the German side. Likewise, Henri Dupuche fled to Rennes in Brittany. Did he have relations there? Some Dupuche’s went from Brittany to Mauritius, some of whom came to Australia. It appears that during the Naploeonic wars, Portuguese ships would shelter in the inlets on the coast of Brittany; many people would board them and escape to Mauritius, a French speaking colony, on the sea route to the Portuguese colonies in India and Asia. Félicie was seven tears older than her sister Reine, and was 14 years old when World War I broke out. She used to ride to the outlying farms on her bike and buy eggs and other produce, escaping the watchful eyes of the German guards. The flash of the explosions could be seen in the night sky. A German soldier was billeted in their house in Rue des Roses where they lived before moving to 120 Rue Henocq. Although the soldier tried to be kind to Maman, offering her chocolates – he probably had children of his own in Germany – she was warned to have nothing to do with him. On one occasion she broke curfew and a solder pointed his gun at her and terrified her. The church’s steeple was a landmark for the Allied gunners. The Germans therefore destroyed the whole church. Eventually the family had to flee Hénin: the mayor ordered the inhabitants to leave the town since the Germans were going to set fire to it, which they did not, as it turned out. The people were placed in cattle trucks and taken to billets in Belgium. Maman remembers her mother’s legs being hugely swollen from this incident. They went to a village, to what Maman remembers as a farm although she later admitted it may have been just a house with a large garden, and remained there some time. Maman made her First Communion in the village and went to school, although her education was rather reduced by all this commotion. They were later taken, via Switzerland and therefore skirting the war zone, to France and thence to Paris and Neuilly where they stayed with an aunt (?). Marie Reine, her mother, worked at a printer’s. Maman was invited by people in the same apartment block to go on holiday to Morocco where they had trade dealings. Her mother did not allow it but it may have given Maman a taste for travel. At the conclusion of war, Mr Delille got in touch with Apollinaire asking him to return to Hénin where he was the mainstay of the business. Accordingly the whole family returned to Hénin. Maman continued with her education. Although her studies had been disrupted by the war she showed in her letters to banks etc., during her later years, that she had the style and mind to engage in business. She particularly liked mathematics. On leaving school Maman started work in her sister Félicie’s successful drapery and haberdashery business at 154 Rue Eli Gruyelle, the main street of Hénin. Maman’s most responsible work was to go to Lille and select the cloth. The importance of her choice for the success of the business and the care she had to exercise gave her a sense of financial affairs and developed her care in choosing carefully. Like her brother she eventually became involved with the scouts and reached the rank of “cheftaine” in the First Troup of Hénin-Liétard, district of Artois, Province of Artois. Identity card 32055. On one occasion she took a group of girl-guides to Canterbury. Maman was more the homely girl. One of the friends of her youth was surnamed Galland, whose parents ran a café on the corner of the Rue du Cimetière opposite 120 Rue Henocq. René Henri Charles Dupuche was the only child of Elisa Berthe Sacré aged 33 years born at Wenduine on 8 June 1873 and Henri Joseph Ghislain Dupuche aged 32 years, born at Bruyelle on 7 June 1874, died in Bruyelle, buried with his wife in the cemetery of Le Blanc-Seau, Tourcoing. He had an older brother, Vincent. The name ‘Vincent Dupuche’ is inscribed on the Monument aux Morts of World War I erected in front of the Parish Church of Ste Rictrude in Bruyelle. Henri Dupuche and Elisa Sacré were married on 7 July 1900 at Antoing and eventually lived at 11 Rue St Quentin, Tourcoing. Henri worked in the leather trade – saddles, harnesses, belts etc. He began as an apprentice and did well; he eventually bought the business and in the end owned three houses. Elisa had had two miscarriages before giving birth to Papa at 11 am on 06-06-06 at Wasquehal, near Tourcoing. He made his Solemn Communion in the Parish Church of St Eloi on 19 May, 1917. When John celebrated Mass at St Eloi in July 2016 in memory of his grandparents, Mr Poupard came into the church to pray. He said that he had known Henri and Eliza Dupuche, as he had been an electrician and had done work for them and for their neghbours called Chabron (?). What a coincidence! Elisa was connected with a family from Gand (Ghent) who were involved in photography, winning many prizes and awards for their art. Some of their art-photos were brought by Papa to Australia. The photos of Papa’s parents in the folder were taken by V. A. Sacré in 1905. Photo of Papa taken by the Sacré photographers, Gand (Ghent). Papa had done well in his schooling. He had obtained first place in the entrance examinations to the Institut Professionel Roubaisien in view of studying commerce. The region of Roubaix-Tourcoing followed the centuries old tradition of weaving. He had gone on to work as a junior office boy, a sort of “man Friday”, with Masurel Fils, a wool buying firm, which had begun during the Napoleonic wars. He had gone to night school and must have impressed his employers by his diligence. On 12 May 1922 in the examinations with the British Chamber of Commerce Paris Inc. he received the result ‘good’ for his knowledge of commercial English. On 12 July 1924 he received a diploma for commercial English from the City of Roubaix. Masurel Fils trained him as a wool-buyer and sent him on one occasion to Bradford in England, an important milling town. He was particularly good at judging the quality of wool by looking at it, feeling it and testing its strength. From the age of 18 Papa did the two years military service required of all Frenchmen, some of it spent at Mantes la Jolie on the Seine near Paris. He reached the rank of Maréchal des Logis (sergeant). He made three good friends during this time in the army, with Daniel Décobert from Béthune and Robert Choteau (married to Suzon = Susanne) who owned a brewery at Ronchin (near Lille) and another man who lived in Arras. Julien Bubbe who eventually settled in Brussels was also a very close friend. In 1929 at the age of twenty-three he was sent to Australia. He could have been sent either to Argentina or South Africa or Australia, and either to Sydney, Melbourne, or Perth. As it turned out he was sent to Melbourne where the director was Mr. Smet. He rented rooms in Hotel Gatwick, Fitzroy St, St Kilda, which still exists but has become very run-down. Every year or second year he would return to France during the off-season. Félicie married Henri Ternaux who worked in the office of one of the mining companies until such time as he retired to manage the financial side of Félicie’s business. Henri Ternaux had a cousin (? 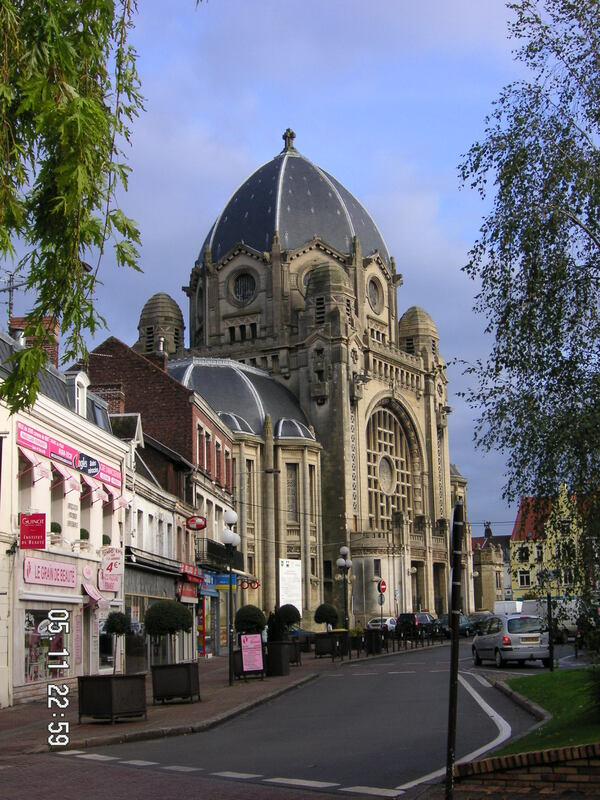 ), Abbé Jean Delva, a priest who eventually became Parish Priest of St Christophe in Tourcoing, a beautiful Gothic church that he restored. Abbé Jean Delva would spend his annual vacation with friends in Corsica. On her journey to the suppliers to buy material for her sister’s shop, Maman was accompanied by Papa’s mother, Elisa. Young women did not go alone anywhere in those days. She would also have lunch at Elisa’s house, 11 Rue St Quentin in Tourcoing. This resulted in her meeting Papa on his return journeys from Australia. So Papa and Maman drew close. Eventually, one day as Félicie and Henri, the chaperones, kept a discreet distance and while Papa and Maman were looking at jewellery in a window, Papa asked Maman if she liked to travel. 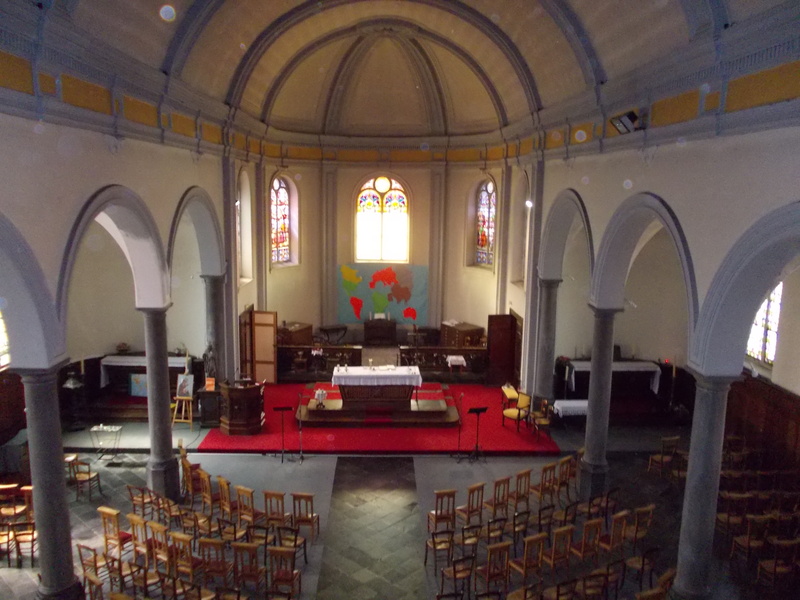 “Est-ce que vous aimez les voyages.” So they married civilly in the Town Hall of Hénin-Liétard on 29 June 1935 and religiously on 8 July 1935 in the Parish church of St Martin, Hénin-Liétard, built amidst some controversy by Chanoine Achille Dessennes (1871-1955) who is buried in the left hand porch of the church. It was built with WWI reparation money on the model of Sancta Sophia in Istanbul by an architect who won the prestigious Prix de Rome. It is unique in that part of France, and perhaps anywhere. It is recognised as a signficiant work of art and is being restored at the present moment (2016). The previous year, 1934, Maman’s brother, René, had married Suzanne Hubert, from a butcher’s family. Suzanne’s brother had died at the age of 23. René and his wife lived in her parents’ house, 134 Rue César-Willefert, for the rest of their lives. Suzanne bore three children, Lucien born in April 1936 who did his military service in Algeria in the 1950’s during the time of the Algerian crisis. In later years he found it difficult to sleep without a revolver under his pillow so frightening had the experience been. 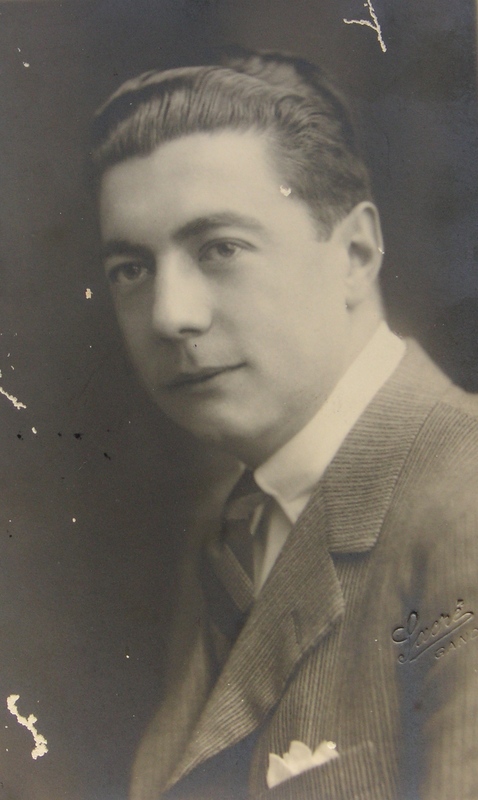 Lucien worked as a kinésiethérapeute (physiotherapist) in the wealthy 1st arrondissement in Paris and lived in Place Clichy in the 8th arrondissement. He married Françoise from Douai, and had three sons, Laurent, Pascal and Philippe. Laurent married Valérie; they have three children, one boy and two girls; address: 7 Allée Sorbiers, 77420 Cham/s/Marne; tel. 01-64 61 13 59 (out of date?). Pascal married Claire; they have one daughter; address: Résidence Gd Cap, 34 Ave. Gd Ourse, 97 434 St Gilles, La Réunion.;Tel. 06-62 33 48 83 (out of date?). Philippe: Address: 256 Rue de Belleville, 75020 Paris; tel. 01-43 64 26 11 (out of date?). Lucien did well and bought a country house, ‘Le Moulin’, in Clairey 49, tel. 33-80 81 91 28 (out of date?) on an island in the Seine, in Burgundy, which Claire Mapleback knows well. He has now retired to ‘Le Moulin’ but keeps the apartment at Place Clichy so that Françoise can consult doctors regarding her serious diabetic condition. Bernard (now deceased) worked at one stage for an insurance company called ‘Zürich’. His lovely wife Armelle is much involved in the parish. Their address: 51 Ave. Raoul Briquet, 62300, Lens; tel. 33-21 28 41 53 (out of date?). Armelle is also very involved in teaching music and organising festivals. They have two children. The elder, Isabelle, is married to Jean Courilleau and they have three children, Clément, Lucie, Justin. They live at 105 Rue Voltaire, 62160 Bully-les-Mines; tel. 33-21 44 07 42 (out of date?). The younger, Olivier, is married (but I have no details) and lives in Dinard, in the Pas-de-Calais (out of date?). Jean-Robert followed his father into the business of healing. He was married late in life to Lucille, a solicitor, who already had at least one child. They live in a fine house at Mouscron in Belgium Tel. 32-56 48 62 32 (out of date?). Maman and Papa spent their honeymoon in the Riviera especially around Le Lavandou which was the name given to the first house they owned, at 34 Kambea Grove, North Caulfield. They travelled on the P&O liner Orama, via Port Saïd, Aden, Bombay, Colombo, Perth, Adelaide, Melbourne. This was still the great period for wool-buyers who were important figures in the economy of the times. “Australia rides on the sheep’s back.” It was the period of the Great Depression when Papa would see men begging in the street as he went to work. They lived first in Surrey Hall, a set of apartments in St Kilda Road, now demolished. Then they lived in Goathlands St., East St Kilda, (perhaps replaced by flats) then at 34 Kambea Grove, North Caulfield, then at 46 Balaclava Rd on the corner of Sidwell Ave., then at 9 Avalon Rd., always in the same general area. Papa’s job involved travelling regularly to Geelong, Adelaide, later Albury, and even to Hobart to buy wool at the auctions. On several occasion his photo was published in the newspapers to mark the start of the season: he was an explosive bidder. It involved him being away for several days each week during the season, which lasted several months. These absences meant that Maman, whose English was not good at first, had to fend for herself. She would sometimes shop in High St, St Kilda, near the junction, within walking distance of Surrey Hall. One shop she favoured was a green-grocer called Russo, which supplied by appointment to Government House. Françoise was born in 1936 and travelled back to France with her parents. She was married in 1967 to Peter Mapleback (deceased). Their two children are Claire and Philip. René was born in France in 1937 and was baptized in Hénin. He was brought to Australia when only six weeks old. Maman experienced difficulty in feeding him on the boat journey, for lack of milk. René did not have automatic Australian citizenship and before being allowed to take up his profession as a doctor had to become naturalized. He married Wendy Gillan in 1967; their children are Lisa married to Dominic McCarthy, with four children; Nicola married to Cameron Elmer, with two chilren; David maried to Katrina (Koo) McCarter, with three children; John married to Emily, with three chldren; Peter married to Victoria, with two children; Michael (deceased 2012); and Anna married to Tom Winter, with one child. Bertrand was born in 1939. He married Angela Broderick in 1969; they have four children, Joe married to Michelle, with two children; Madeleine married to Scott Barker wth three children; and Ben and Tom. Jean-Robert, a Priest, was born in 1940 with Dr. A.F. Wilson as accoucheur, Srs. Forsyth and Jeffs as nurses. Maman’s fifth child, Anne-Marie Bernadette – Dr Wilson was the accoucheur, Sister Neylan the nurse – was born 15 September 1945 with a heart defect – she was a ‘blue-baby’, having a faulty heart which did not pump well, something easily treated these days but not at that time. It was known from the outset that she would not survive the first significant illness. She caught a bad cold, perhaps the flu, and died on 7 November 1947. Papa put lighted candles on the four posts of her cot and held his dead child in his arms. A rosary was said. The birth of Françoise, as of all the other children born in Australia, took place in St Helen’s Private Hospital, Lewisham Rd, Windsor. Papa obtained the services of the best gynaecologist in Melbourne at the time. René was baptized in Hénin, with Félicie and René as the godparents. All the other children were baptized at St Mary’s, East St Kilda, which was near St Helen’s, because Papa reasoned that it would be easier to remember the place of baptism if all were baptized in the same church. Papa, however, baptized John suddenly in August 1940. Papa was woken sudden one night by a noise and found John ‘all blue’ (tout bleu), presumably through lack of oxygen. He grabbed the glass of water on the bedside table next to Maman and baptized him. John revived. Papa joked that he did not know whether it was because of the cold water or the Holy Spirit. The ritual of baptism was nevertheless performed in its entirety later that month, 31 August, by the curate, Rev. Aloysius Morgan. His godparents were Françoise and René, aged 4 and 3 respectively! Thus Maman had four children in five years at a difficult moment in her life when war was raging and she was far from home. She also then had a fifth child who was very fragile. She was helped by the young Davenport girl from next door in Kambea Grove who was a nurse. We never had contact with the Davenports thereafter. Later on, after the death of Anne-Marie, to help Maman in raising four children, domestic help was obtained from St Catherine’s orphanage in Geelong. Valma came and stayed for some time. She later married and resided in the vicinity and met Maman a few times the last being at St Patrick’s after a Mass organised by the French Australian Association just two weeks before Bertrand’s death. Thus Bertrand and John met her again for the first time in over fifty years. Angela was also present. After the Mass, Bertrand and Angela, John and Maman went to lunch at Hyatt on Park, the last meal together in this way. Françoise had started school at Mandeville Hall, Toorak, and later changed to Sacré Coeur, Glen Iris. After the usual schooling at Mandeville Hall till grade, 2 René went to St Kevin’s, Toorak. It was through Mr. Read who knew Mr. Wally Broderick, Angela’s father, and through Wally Broderick’s recommendation, that René, Bertrand and John were transferred to Xavier preparatory school at Kostka Hall, Brighton. Bertrand stayed at Mandeville till the end of Grade 4 and John till the end of Grade 3 because the family was going to Europe in 1948. The journey to France due to take place in 1939 was delayed for a year because Bertrand was to be born in May. This meant that the family was not trapped in Europe by the outbreak of war in September 1939, as were the Deschamps who took the place of the Dupuche family and had to spend the war in France. Furthermore, the presence of four children and the general ambiguity of the situation saved the family from being interned. That is, the birth of the fourth child, John, in 1940, legally prevented Papa from having to go, as Mr. Dalle and Mr. Fiévez had to, to serve in the French colonial armies in Indochina. The war years were difficult for Maman and Papa because of lack of communication. The Red Cross helped in the exchange of letters, which had to be carefully written not to sound like secret messages. Boxes of food including caramel were sent to the grandparents in a starving Europe. The situation of Papa’s parents was particularly difficult since he was their only child. Although the relatives in Bruyelle were very attentive, Papa felt very bad about not being there to help them personally. In 1946 Papa went to Europe to renew contact with Masurel Fils. He then saw his mother for the last time, for she died of cancer on 16 December 1946. Papa was due to leave by boat, the Aagtekerk, which was sunk by a mine before arriving in the harbour of Antwerp. The news reached Australia by the papers before it was possible for Papa to ring Australia. Maman feared for the worst. He returned eventually by plane and some weeks later received the news, by phone of his mother’s death. He was very attached to his mother. Maman recalled, much later, that the greatest moment in her life was in 1948 when she met her family at Calais and found them all alive and well. She had left France in 1935 and again in 1937 with the idea that she would return every couple of years but had waited over ten terrible years. After the Fall of France she returned to Hénin. At the later stages of the war, however, a bomb fell in the garden of the house next door, at Mme Paul’s, the butcher’s. Henri and Félicie could hear the bomb coming and rushed to the cellar. To protect his wife Henri lay over her on the stairs of the cellar as the bomb fell. The stair wall of the cellar still retains the curve caused by the explosion. Half the house was destroyed. They lived in this condition for about 8 years so that on our first trip to Hénin in 1948 we lived for several weeks in a half ruined house. During the Second World War they adopted a child whose background was unknown (to us) but seems to have been orphaned by the war. François was sent to boarding school in Belgium for part of his education. In 1967 he married Danielle Jacquemin. Her brother, Roland Jacquemin lives in Dieulouard. Tel. 33-383 237 710. He is much involved there in a museum associated with Ampleforth, the famous Benedictine monastery in England whose members fled to Dieulouard during the time of Elizabeth I. They had three children, Christophe, married; Phillippe, motor mechanic, in the département of Charente, married with four children, tel. 33-545 841 379 (out of date? ); Sebastien, married. They lived in Nancy, in Lorraine, but eventually divorced, in 1979. Danielle married a man whose surname is Villard (now deceased). Tel. 33-545 896 337. Her address is La Grande Beaumaris, postcode 16490, France (out of date?). François later took up with Marécaille with whom he has lived now some twenty years. He had cancer of the thyroid in 1995 but is in remission. He and his partner now live in Reims at At 16 Rue de Strasbourg, 51100 Rheims (out of date?). Danielle has lost contact with François but his children still keep in touch with him. The business flourished. Félicie and Henri bought a holiday house in Billy-au-Bac, near a lake. But they did not travel or spend money on themselves. Henri Ternaux died in about 1966. Félicie took her first trip 1969 with John to Nancy, in Lorraine, to see François and Danielle and then went on to Switzerland. Félicie married Alfred Loëz in about 1971 and died of liver cancer in about 1976. Time was passing. The economic situation in France was not good; there was no real prospect for their children if the family returned. Papa and Maman, therefore, decided to stay on in Australia. Some of their friends, such as the Salembier and the Gaillet, returned but were never really able to settle back in France. Thus what had originally been intended as a few years in Australia ended up, because of the War, to be a permanent settlement. Maman may never have really accepted this. At a dinner in Toorak on some occasion around 1970, she said that when she died she wished to be buried in France. She did not repeat this wish. On the occasion of a dinner at Françoise’s when everyone was asked what was his or her greatest wish, Maman replied “security”. Her experience of two World Wars and the resultant dislocation may go some way to explaining this need. Mme Christian was a great friend to Maman in the early days of isolation and language difficulties. She was Françoise’s Godmother and later went, with her family, to live in South Africa and then in Rhodesia (Zimbabwe?). The Haas family, also wool-buyers, were a great help as well. The de Stoop, a Belgian family with a considerable business in the area of Box Hill, were also a point of contact. Roy and Trine (Petrina) Read, whom they met on the boat to France and again on the return trip, were life-long friends. (Trine was a Hansen and was related to the Hansen of ‘Hansen and Yunken’, a notable construction company.) They suggested that Maman and Papa buy the house in 46 Balaclava Road, which belonged to a relation. When the time came for Papa and Maman to sell, they also suggested they buy 9 Avalon Rd., next door to their house at 11 Avalon Road, which the Read’s had built at the time of their marriage. 46 Balaclava Rd., was sold for £18,779-15-9; 9 Avalon Rd., was bought for £14,029-14-6 and sold in 2003 for AUD1.3 million. Dr and Mrs. Fitchett, whose practice was in Orrong Rd, Elsternwick, provided support especially during the Second World War when Papa and Maman suddenly found themselves to be refugees and exiles and placed in an ambiguous position after the Fall of France in 1940. This placed them in this ambiguous situation because the Vichy Government was still the legitimate government of France in opposition to General de Gaulle who had formed the Free French and was one of the Allies. Suspicions were entertained against Papa and Maman: were they spies? We were not allowed to speak to Mr. Shelley from across the road in Kambea Grove who had once come to question Papa on the assumption that he was a spy. Telephone conversations had to be in English – a difficulty for Maman – because of the fear of secret messages. Papa could no longer work for Masurel Fils, given the impossibility of trade with France but he was employed by the British Government under the Central Wool Committee, Melbourne. At least he had work. There was no contact with the immediate neighbours in Kambea Grove but rather with the Fogarty‘s – Pat, Brian, Peter (who caught polio during the polio crisis of the late forties) – and the Cosgrove‘s for they were parishioners of St Coleman’s, Balaclava. There was also contact with the Watson‘s because their two sons (one of them was Keith), being slightly older, were looked up to by the younger Dupuche boys and their attention was sought. Across the road on the corner was Mrs Pembroke whom we children classed as being crabby because she stopped us hitting the street sign outside her house! There was Mrs Houston who lived on the corner of Kambea Grove and Fosbery Ave. and baby-sat us when Papa and Maman went out. There were the Kosky‘s, Claudette and Anthony, children of Russian Jewish furriers, who were playmates. The Gaillet‘s, Emile and Gilberte, were great friends, as were the Dalle‘s, Auguste and Elsa. We would often go to the kiosk at Ricketts Point, in Beaumaris, then a holiday resort, for picnics. The Gaillet lived at Beaumaris. The Dalle’s lived first in Tally Ho, Blackburn, which was, then in the country. They shifted to Vermont, to a 10-acre property with orchards, a cow, chickens etc., and a large shed where dances were held. We would come together for Christmas and Easter and on other occasions. This was a great environment, where the four Dupuche children and the five Dalle children (Beatrice, Jacqueline, Marie-Louise (Pilou), Alice (Mimi) and Pierre (though he was too young to form part of our group) would go exploring and playing in the bush nearby. Red Buff and Half Moon Bay were also very popular, especially climbing the cliffs at Red Bluff. We would also go to Aspendale and Edithvale where the beach was broad and the water was clear. Papa took many movie films of us playing in the water. He would swim but Maman did not like the water. Indeed in all her life she may not have gone into the water once. 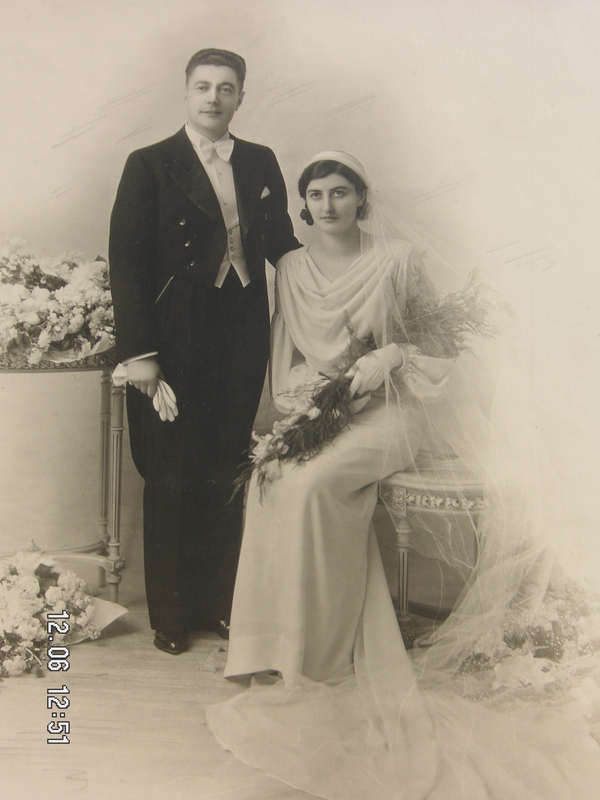 Mme Agnès Douez and her husband Edouard, who died in about 1968, were great friends. They shared so much in common: wool-buying, children, and the north of France. They frequently played cards together. Maman enjoyed her card meetings immensely. She started playing in the 60’s or 70’s and continued into her last year. Mrs Doris Burns, Mrs Biggins, Mrs Anna Doyle, Ita Arthur, Mrs Lala Gill, Mrs Sinclair, Mrs Bruce, Mrs Trimble, to mention a few. She saw them go one by one. She was not a very good player but she enjoyed the company and the news. She would go once a fortnight and sometimes even once or twice a week. When she received, she took great care in preparing the welcoming glasses of champagne and the afternoon tea and sandwiches. Even when her memory was going her friends would still have her for cards. Mention should also be made of the Biggins, Burns and Doyle families. All had connections through Xavier and the last two also lived in the same Parish. The Parish was an important social context. People still (2003) remember how carefully Maman groomed her children for Sunday Mass at St Colman’s. She herself was always careful to look her best. Because of the work involved in the large house at Balaclava Road she had the help of Mrs Daly who died 3 October 1974 at the age of 90, and then, in Avalon Road, of Kath Cooney. They would come once a week to do the heavier work. In her late years it was a social occasion rather than housework, which was less heavy. Maman travelled to France in 1937, 1948, 1950, 1953, 1955, 1958, 1961, 1963, 1966, 1968, 1972, 1975, 1980, 1985, 1987, 1991. (There may have been other trips.) Trips were done via Suez or South Africa, via the U.S.A, via Singapore or Bangkok, via Mexico and Tahiti. There were holidays in Sydney (Cronulla) and Cairns. On the ‘Vivaldi’ in 1950 Papa made the acquaintance of Rev. Fr. L.S. Pais, from South Kanara, India who was going to Rome for studies and whom he assisted financially over many years and helped him to build the church at Kayyur. One trip Maman enjoyed particularly was through Tokyo over the North Pole to Helsinki, by large ferry to Stockholm and by Russian ship to Leningrad (now St Petersburg) and back to Stockholm, thence to Oslo and Bergen, back to Oslo and down though Copenhagen to Brussels to meet with Roland and Chantal Wilson who was the daughter of Julien Bubbe. Then to Paris and meeting with the family in Hénin and Bruyelle. Then meeting with Peter and Françoise in Paris and dinner at La Serre. John organised all this. Then on down to Cognac to meet with Janine and Pierre Cordier and to Auzences to spend a few days with Mr. Gaillet and then to Bordeaux and Lourdes and to Marseilles and back via Rome to Melbourne. Maman’s brother, René, came to Australia, in 1994, and spent about 10 days in Melbourne seeing the places of his sister’s life. Papa died on 19 May 1981. His last moments were recorded by John in an account given to his siblings. The years of widowhood were very lonely for Maman. Although she could have lived with her children, she preferred to remain in her own house. She lived through her children and her friends. Although the last years and days of Maman are well remembered, there may be some value in recording some details here. She had been well provided for by Papa in his superannuation policies, especially CAVCIC and also by the investments in shares etc that he and Maman had made. Maman had a lot of business sense and was very keen on buying and selling shares. As a consequence when she became feeble and in need of help it was possible for her to have the best of care in her own home. At first Maria Fodor began to spend about two days and nights per week at Avalon Rd. She and Maman got on well and Maria would occasionally be involved in conversations of a more serious nature about life and death, especially at those times when she would cry at the realization of her approaching death. They would go out on Fridays to do some shopping and to take refreshments in a little cake shop or cafe either in Carlisle Street, Balaclava, or near Crittenden’s in Malvern Road or at Fleischer’s in Glenferrie Rd. Bertrand’s sudden death (1999) while running in the gardens opposite the Arts Centre was a great shock to Maman. Shortly afterwards her health declined rapidly. René could tell, as she was talking on the phone to him, that she was suffering heart failure. He quickly took her to Epworth Hospital. She had been suffering from fibrillation for some years. Her heart was weakening and not pumping regularly so that she gradually lost her faculties. It became necessary for her to have full time care. Cheryl Kirkby was there for over a year, then Wendy Collins. Maria Fodor continued as before. Françoise did a marvellous job looking after all the details, and they were many. In particular she took care of the finances. She and John had power of attorney. The decline was slow but constant, further loss being evident almost every week. She began to complain of not seeing well and it was only just before her death that it became evident that she had had a massive stroke, which affected her sight but not much else. Perhaps it was just as well we did not know the reason. She had wished to attend the wedding of Nicola and Cameron but was laid low suddenly by shingles around the eye, which she had had many years before while holidaying on the Riviera. She eventually obtained some relief but it flared up badly a week before her death. It so happened that she got one of the attacks while René was there and could verify what Maria and Wendy had been saying. She sat up straight in bed, a thing her weakness made difficult, and screamed ‘Aide-moi!’ (Help me!). René thereupon had her taken to Epworth for the last time. Her condition continued to decline and it was clear she would not leave the hospital. She seemed to see things, which indicated a changing awareness at the approach of death. She said to John that she could see a door above her and asked what it was. To Maria who read passages from the Psalms to her she said she saw angels. She frequently thanked us. She would say again and again ‘Merci ‘ (Thank you). The decline continued, but she was out of pain and responded, it seems, to our attention even on the last day. Her heart was failing so that the kidneys could not function. She could not eat or swallow. Eventually she died, not so much of heart failure as of complications from kidney failure. She died at about 1 am on Sunday 1 December 2002 at the age of almost 96. Françoise accompanied by Peter, René and John arrived at the hospital shortly after her death. The funeral took place at Our Lady of Lourdes on Wednesday. Fr Chris Barnett who had given the homily at Papa’s funeral preached the homily. Mgr Cudmore PP and Fr Greg Reynolds who had stayed some years at Longwood and knew Maman well concelebrated the Mass with John as the principal celebrant. René spoke about her life again just before the final commendation and farewell. The funeral was intimate, for Maman had expressly stated in her will that she did not want the funeral notice placed in the papers till after the burial. The reception took place at 9 Avalon Rd. On 1 January, on what would have been her 96th birthday Mass was celebrated for her again at St Joseph’s Black Rock. René and John had been named as the executors of her will and Françoise was involved in all the major decisions. The farewell Mass at 9 Avalon Road on 22 June brought closure to what we all agreed was a long, eventful and happy life. I enjoyed reading through – you seem to look like your dad! It must be lovely having a large family here. Four generations? Our families are all over the place!